NTEN recently released their eighth annual survey on technology staffing and investments among the nonprofit sector. Data for this report was gathered from 781 survey responses regarding nonprofits’ technology budgets and strategies. Larger size and budgets don’t necessarily correlate with higher technology adoption levels. 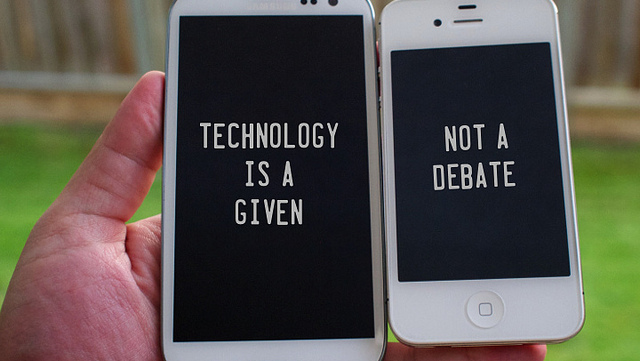 Leading organizations are twice as technologically effective as struggling organizations. Leading organizations are nearly 3x likelier to incorporate technology in their strategic plans than struggling organizations. Software spending surpasses hardware spending as the largest technology budget category for nonprofits. While overall budget size can affect a nonprofit’s Technology Adoption level, the two don’t necessarily share a direct correlation. For example, according to this graph, 7% of smaller organizations consider themselves as Leading, compared to only 3% of larger organizations. This finding makes sense. As technology has improved, it has become cheaper and easier than ever for nonprofits to leverage the right resources to improve their efficiency. Gone are the days when bigger overall budgets offered an upper hand. Instead, organizations need to focus on spending smarter on their technology tools. By thoroughly researching – and investing in – the most effective options available, even organizations with tighter budgets can leverage the resources they need to optimize their technology usage. • Incorporate technology in their organization’s strategic plan. Nonprofits that include technology in their organizational strategy also tend to be more effective with their resources. In fact, Leading organizations are nearly 3x more likely to incorporate technology in their strategy than Struggling organizations. • Conduct ROI analysis when investing in technology. Organizations that conducted an ROI study of resources – weighing the cost of a software, hardware, or other service purchase against its impact on the organization – had higher Tech Adoption levels and Tech Effectiveness scores. • Include technology staff when determining strategic direction. When nonprofits allowed their technology-responsible staff to help influence the organizational strategy and vision, they experienced greater technology effectiveness and innovative power. • Have a budget for tech training. Even in past years, there has always been a strong link between investing in staff training and high Tech Adoption and Tech Effectiveness rates. Fortunately, this year’s report shows that more nonprofits are setting aside a training budget (45%) compared to last year (41%). According to these findings, proactive preparation for technology can help organizations improve their overall effectiveness. When planning your nonprofit’s vision, involve technology-responsible staff to help hone your overall organizational strategy. 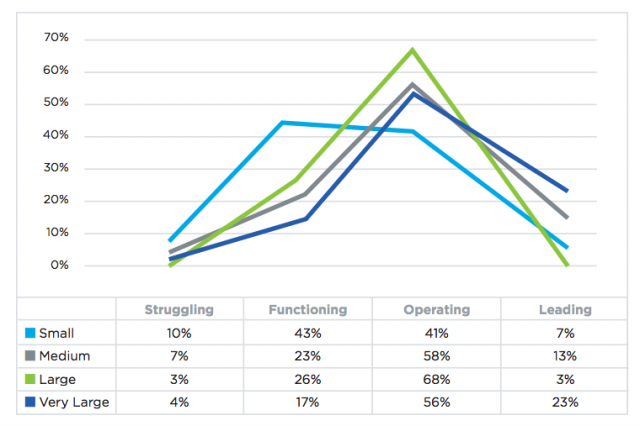 Respondents indicated that most of their technology expenses (on categories like hardware, software, consulting, etc.) remained virtually the same as previous years, with one exception: cloud software spending has replaced hardware spending as the largest budget category. Out of all the categories, hardware spending is also the most likely to see a decrease (16% said they would decrease). This finding comes as no surprise. Cloud-based solutions offer great integration flexibility and operational tools, without the purchase and maintenance of communications equipment. These web-based systems can appeal to smaller organizations who have stiffer budgets but want to improve their operational efficiency. It seems that an increasing number of nonprofits are recognizing that investing in the right tools – from fundraising software to CRM systems – can help them improve their overall internal management and donor engagement. In today’s day and age, nonprofits need to recognize that technology is an investment in their missions. By prioritizing technology decisions within their organizational strategy, organizations can leverage effective resources that will enhance their overall operations. Understanding the value of technology solutions will help nonprofits set themselves up for success.